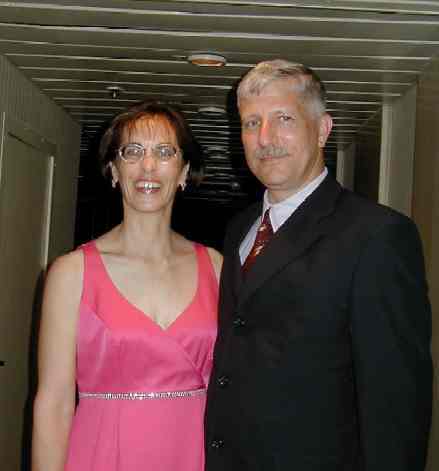 Ship board Activity: Terrie and Andy dressed up for formal supper with the ship's captain. 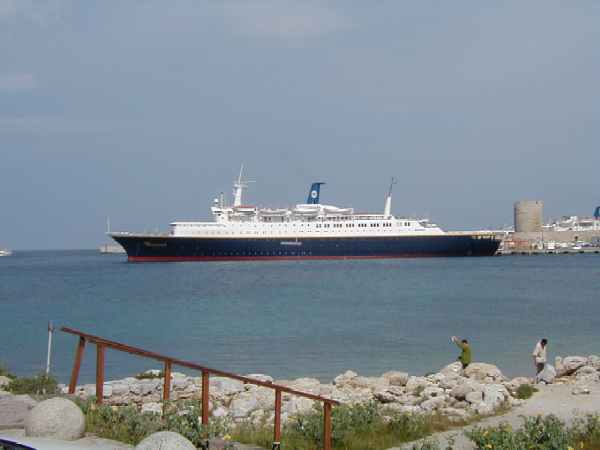 The World Renaissance, our cruise ship, tied to the dock in Rhodes. 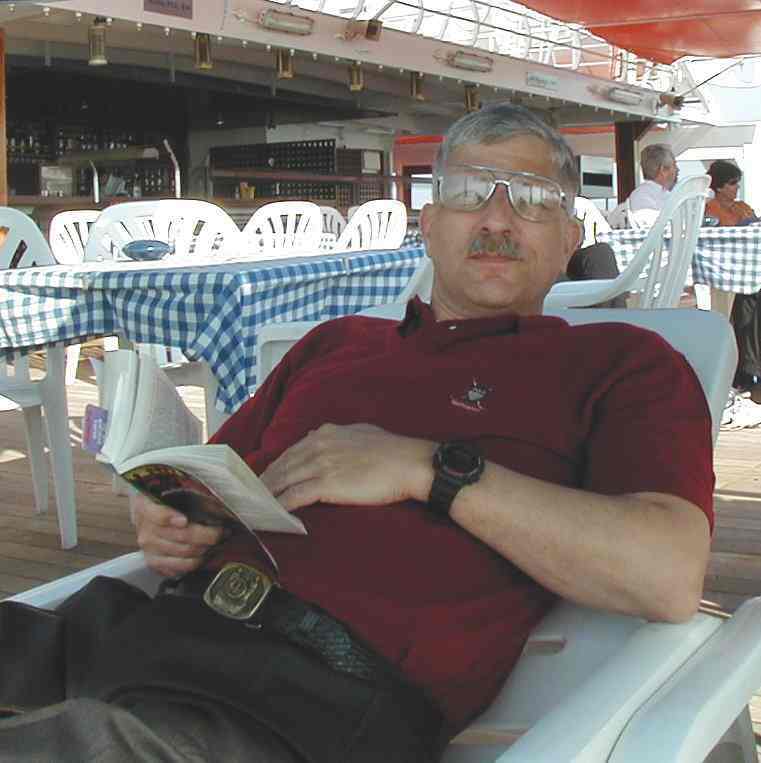 Left photo is Andy relaxing on deck. 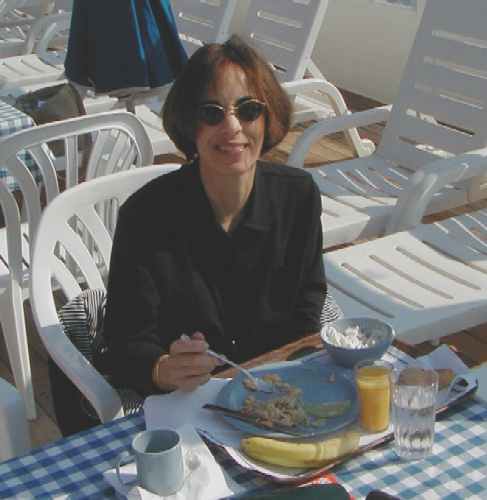 Right photo has Terrie eating breakfast while we cruise through the Dardenelle Straights. Click on the below icon to access next page.